Artist: Onslaught. Format: CD. Item Condition: New and unplayed. Release Date: 2013. ATTILA Chaos. 11 King 3:23. 7 Let's Get Abducted 3:35. 10 All Hail Rock And Roll 3:05. 6 Rise Up 3:46. 5 Moshpit 3:30. Of Discs: 1 disc(s) Studio / Label: Victory UK Release Date: 26 Sep 2011. Disc 1 6 Prolonging the Suffering. Disc 1 11 Emises. Disc 1 10 Opposing Globalization. Disc 1 9 Festering in Filth. Disc 1 8 Humanity's Cesspool. 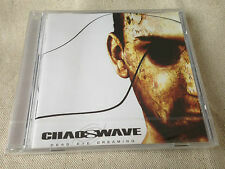 CHAOSWAVE - Dead Eye Dreaming CD BRAND NEW & SEALED! With 2 singers, male & female, both using clean vocals, the style of the band is often described as a perfect blend of NEVERMORE & LACUNA COIL. 6 Blind Eye Focus 4:49. 7 Dead Eye Dream 5:40. 5 Another Lie To Live In Vain 1:26. Of Discs: 14 disc(s) Studio / Label: Sony Music CMG UK Release Date: 19 May 2017. Many DVD players can be made multi region compatible quite easily. Pop Pop Vinyl-Standard size. Pop Pop Vinyl-Supersize. To check if a DVD or Blu ray with a region code other than your own will play on your player, try checking the following link and put your make and model of player in the search box. Up for grabs is this CD by Cronian. NEW, UNPLAYED AND STILL SEALED. Sales Policies. Diode Earth. Don't forget to. Up for grabs is this compilation CD by Dominion. On the Peaceville label, the catalogue number isCDVILED 148 and the date of issue is 2006. NEW, UNPLAYED AND STILL SEALED. There is a large tear to the shrinkwrap. Serenity is never poppy in a hair band kind of way, but is frequently poppy in a way that brings to mind a band like Survivor. ~ Alex Henderson. Kotipelto - Serenity. King Anti-Midas. Album Notes. EAN: 4046661056426. Of Discs: 1 disc(s) Studio / Label: Massacre UK Release Date: 01 Dec 2017. Disc 1 1 Unleash the Wolf. Disc 1 12 Demon's Call. Disc 1 11 Swansong. Disc 1 10 Dark World Order. Disc 1 9 No God, No Master. CD in mint/near mint condition in jewelcase. Burden Of A Thought 4:10. Undercurrent 3:30. Shallow 4:22. Currency Of Cynics 3:29. Disconnected 3:46. 3 Blood Runs 8:57. 8 We Will Crush The Open Sky 7:42. 6 Kynesyk II 1:41. 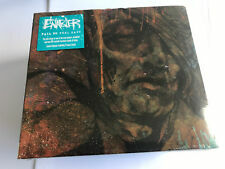 MINT/UNPLAYED CD album - STILL SEALED - NEW DISC. All the CD's sold are originals. Nadja – Corrasion (Deluxe Re-Issue / Remastered). 3 Corrasion 8:25. 1 Base Fluid 11:00. Title: Blue Romance. Blue Romance. Artist: Kid Gorgeous. Format: CD. Condition: New. Record Label: Eulogy Recordings. Artist Eufobia Title Cup of Mud Release Date 2011-09-15 Label: EMI Records Number of Discs 1. BULLET FOR MY VALENTINE - BULLET FOR MY VALENTINE. GENUINE & ORIGINAL CD. Cries in Vain. Just Another Star. 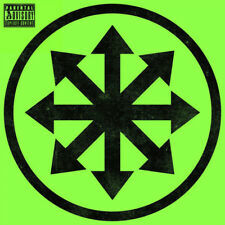 Of Discs: 1 disc(s) Studio / Label: Nuclear Blast UK Release Date: 04 Feb 2013. Disc 1 9 Sunrise On Mars 5.47 mins. Disc 1 12 The Latent Gene (Uncut Version). Disc 1 11 Change. Disc 1 10 Freaks. Disc 1 8 Voyager II 9.04 mins.